Today was an amazing day. I accomplished a handful of things that made me extremely, joyously happy. For one thing, I now have a library card for the local library in Lake Havasu (as a full-time traveler, most counties will not provide such a gift, but as I’ve said before – Lake Havasu is a very special place). And, as I left the library, I left with an amazing book haul of purchased books – as much as I could carry in my arms. Yes, I did this. Yes, I still live in a van. But no, these books are not for me, they are for my library. Yes… my library. This is how many books I can carry at once. Shopping for our Little Free (Van) Library was so much more fun than shopping for myself! And since I purchased these in the “Friends of the Library” room, the money I spent goes directly toward supporting the local library. Besides, this amazing book haul cost me $6. Local Libraries are one of the best used bookstores ever that everyone forgets! Okay, let me back up a little bit now and give some background. What is a Little Free Library you ask? A Little Free Library is a book trading zone, usually setup in front of someone’s house, or place of business. The person who establishes the Little Free Library buys or builds a location to house the books, and then will usually collect some books to kick things off, or donate from their personal collection. After that point, it should be fairly self-sustainable with people following the rules of the slogan, “Take a Book, Leave a Book”. You can take a book now, leave one later, pass along the book you picked up from one Little Free Library and return it to a different one (which Pays it Forward), or give to a friend to read. Basically, you share the joy of reading. It’s very simple really. 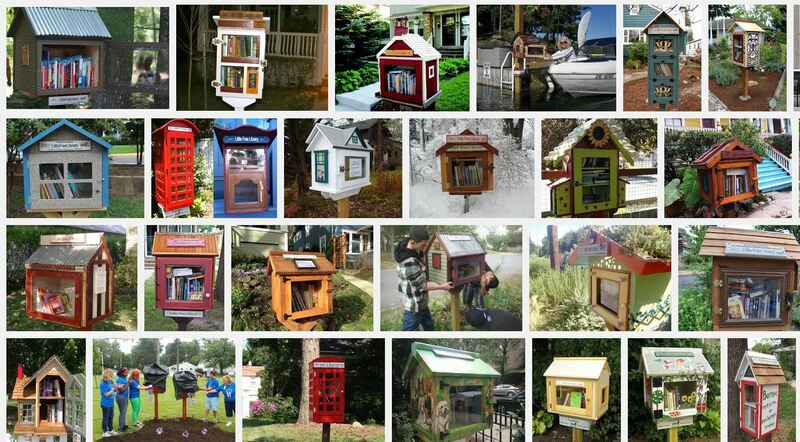 I first heard of Little Free Libraries years ago and have wanted one ever since. I love sharing books with people, and I love talking books. Once we decided to travel, I figured there was no way we’d ever have one of these. I mean, who ever heard of a Little Free Library that moves? Well, you have. Now YOU have. Because we are making this happen. A few months ago I mentioned to Dave that as crazy as it would be, I would still love to have a Little Free Library. I told him I knew it wouldn’t be possible, we most certainly do not have the room for it! But his response was priceless. His eyebrows shot up, and he told me the idea was brilliant. That’s pretty much all it takes for me to start brainstorming solutions. So that officially kicked things off. The trick is, we live in a 22′ foot van. What would we use to store the library? They’re often pretty bulky (see examples here), and they need to be able to sustain being outside in the wind and rain. And for us, they need to be able to be transported on a regular basis. 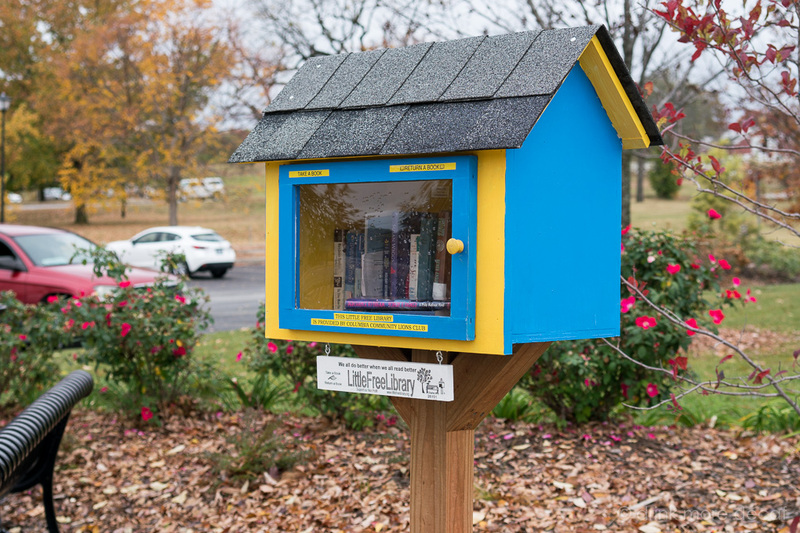 As much as I would love to have a super cute, adorable Little Free Library, like this one we saw in Columbia, Missouri – we knew we needed to be more creative. It’s taken me months to figure out a solution, but now that we have, we are just a few days away from having this fully setup! Our Little Free Library will be housed in a Sterilite Storage Box, and available for use outside our van on a portable camping table that rolls up and fits in our cargo box. This covers the weather issue, and the portability issue. 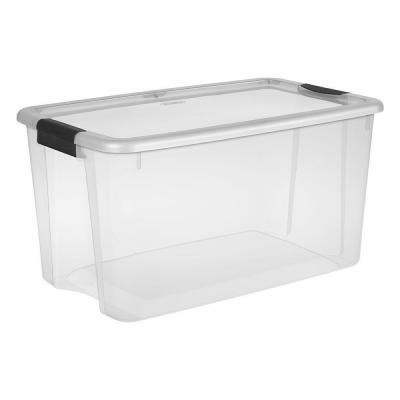 Because the box is see through, books will be visible from the outside. Before you think I’ve abandoned the cuteness, don’t give up! I have absolutely not! People will need to know that this is not just personal property, but something that is there for THEM to use and enjoy! No, don’t bother trying the domain name, it doesn’t work yet silly! (Edited to add: The domain works now – yay!) I’m still working my way through my to-do list, but I am just too excited about this to not blog about it. Anyway, the flyers. I’ll have a few of those printed next to the box of books so it’s clear, the books are meant to be touched, taken, and read. This has been an amazing project to pull together, but now that we have the cargo box, the book-storage box, and an idea of what to do – I am very excited. 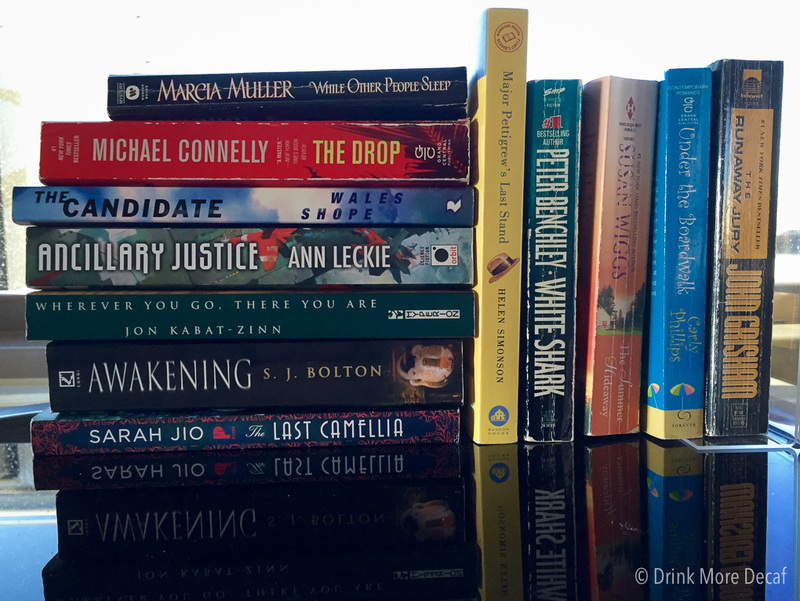 It makes perfect sense to me to have a shareable bookshelf just outside my van door, ready for one and all to take, borrow, share – and talk books. Our Little Van Library is almost here! Just a little more yet to do… stay tuned! In Books: The movie that many of us now know as THE Christmas movie: A Christmas Story (1983), was actually based on a book. 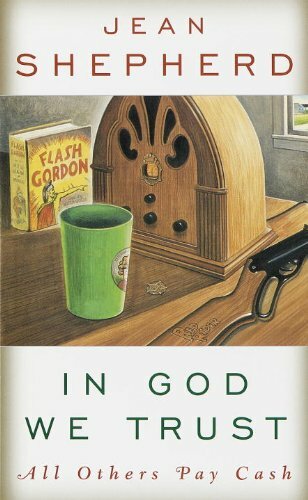 In God We Trust: All Others Pay Cash by Jean Shepherd, was published in 1966! Did you know this? You can read more about this via Off the Shelf. In the meantime, yet another book was added to my TBR. I have come to accept I will never, ever, read all the books on my To Be Read list! In Health: Everyone knows drinking soda is unhealthy. But did you know drinking soda daily makes you age faster? Soda drinkers have shorter telomeres than non-soda drinkers (this is related to our DNA). I gave up soda (kicking and screaming) about 6 years ago, I guess sometimes my corn allergy is looking out for me. Okay, not really, but I’m glad I don’t have to worry about this anymore. And in General News, Marriott is evil. That is all. Apparently if you ask people for free things, they will send you some! The 39 Dollar Experiment is pretty interesting, and definitely creative. Anti-bacterial solutions are often in the news as being a danger to our health. What if we could reduce the bacteria we encounter, without adding new chemicals to our environment? A company by the name of Sharklet Technologies is working on doing this now. Germ-deflecting surfaces that work due to TEXTURE?! Brilliant! Finding Inspiration in Shark Tanks and Bee Hives is pretty nifty. As far as fiction reads, yesterday I started reading In the Blood, by Lisa Unger. Wowza! So far all I can say is, how come no one recommended this book to me?! In other words, it’s all kinds of awesome. We don’t always drink wine, but when we do – it’s in our dinner! 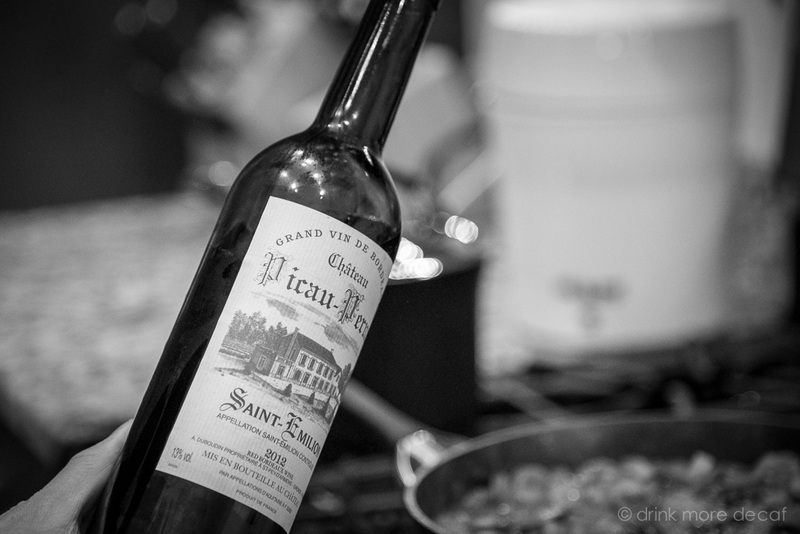 Tonight Dave made cajun beans and rice (yes, wine included), so there may be a recipe post coming soon. What did you read today, anything interesting?